When it comes to oral health care, it’s always best to see the same dentist regularly. While this is ideal, for some people though it can be unpractical, especially for those moving to a new location. It would be unwise to travel to your previous location just to visit your dentist and have your pearly whites cleaned and maintained. The only solution is to find a new dentist in Sydney or wherever you are relocating. Although choosing a new dentist can be tough at first, the long-term payoff will all be worth it. So if you’re in need of a new dentist, here are four steps to help you find a reliable oral health partner. Seeking recommendations from family, friends, relatives and co-workers is one of the easiest ways to find the right dentist. You can even get referrals from your physician or your pharmacist or ask your current dentist to suggest someone living near your area. Other options you may want to consider are: to consult a dental association and check their professional listings, search the internet, go to forums and read reviews about which dental clinics offer quality service and results. When you’ve gathered enough leads, you can call up the clinics and ask them a series of questions. What services do they provide? Apart from teeth whitening and tooth extraction, do they perform root canal procedure? Also, ask about the fees, the technology they use and the exact location of their clinic. Knowing the answers will help you compare the practitioners and narrow down your search. After enquiring through phone, visit three of the clinics that you think offer the best service. Take a look around the place and see if it fits your requirements. Is the clinic accessible? Are the waiting room, offices and equipment clean and well-organised? Are the staff friendly and helpful? If you feel that you are comfortable with the staff and the environment, then this is a good sign. There’s no point in getting a good dentist if you are not comfortable with her/him. So at your first visit to the clinic, talk to the dentist, ask questions and voice your concerns. Afterwards, decide which dentist makes you feel the most comfortable. Remember, you and your dentist will be long-term partners in oral health care, so you need to find the one who will not only give you a beautiful smile, but someone you can trust and feel comfortable with. To take good care of your pearly whites, you need to find the right dentist. Use these four helpful steps to guide you in your search. Are you in need of a dentist who can take good care of you and your pearly whites? Look no further than Marsfield Dental Care. 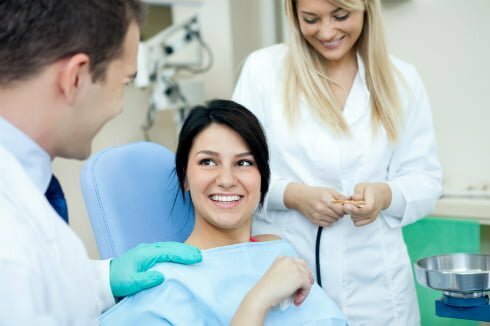 Our expert team can help in all your emergency dental needs, from simple tooth extraction and teeth whitening, to more complex procedures, such as root canal in Sydney.